Bob “Bob1” Mothersbaugh in downtown Akron, Ohio – April 10, 1978. Newspaper advert for DEVO’s Nov. 9th, 1982 show at Cleveland Music Hall in Cleveland, Ohio. 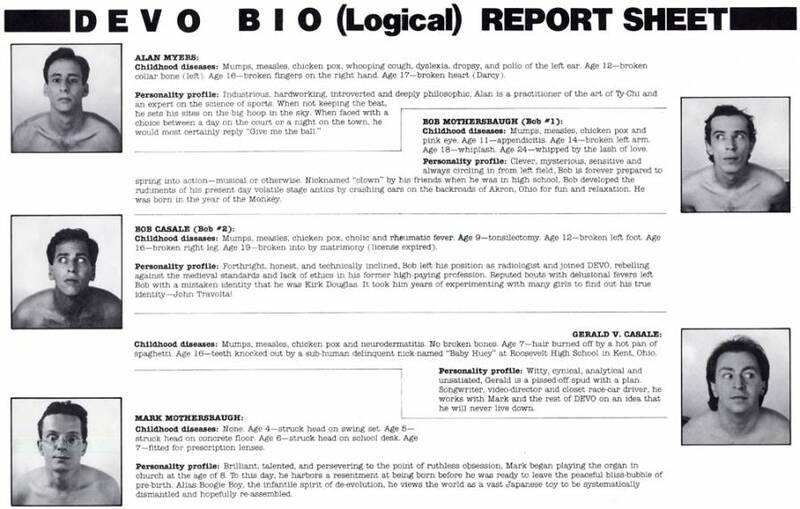 This DEVO Bio (Logical) Report Sheet was included with early Club DEVO kits and some press kits. 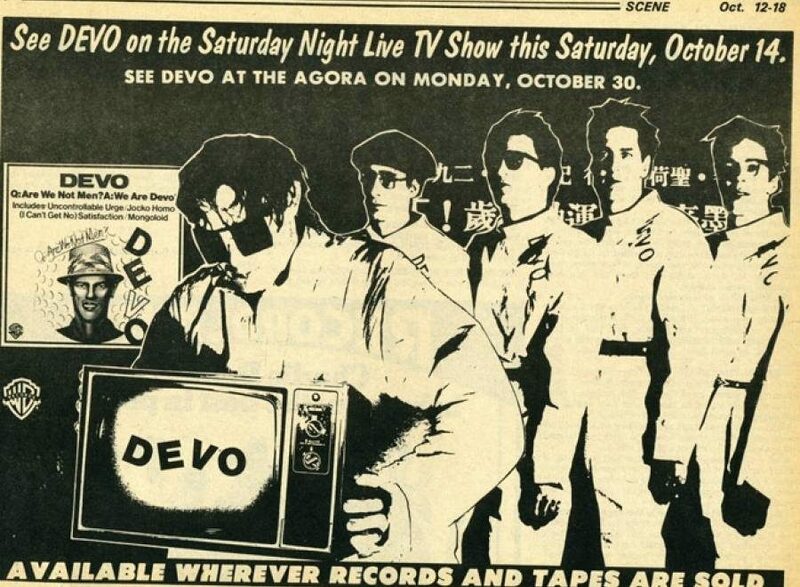 Advert for DEVO’s appearance on Saturday Night Live latenight TV, and their debut LP – Oct. 1978. From Scene Magazine in Ohio. 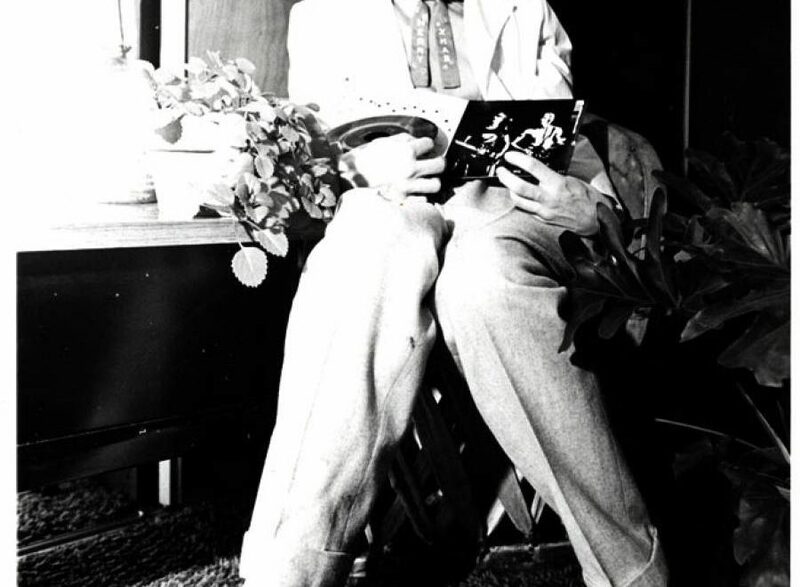 Jerry Casale signing autographs in San Diego, CA – 1980. Mark Mothersbaugh signing autographs in San Diego, CA – 1980. 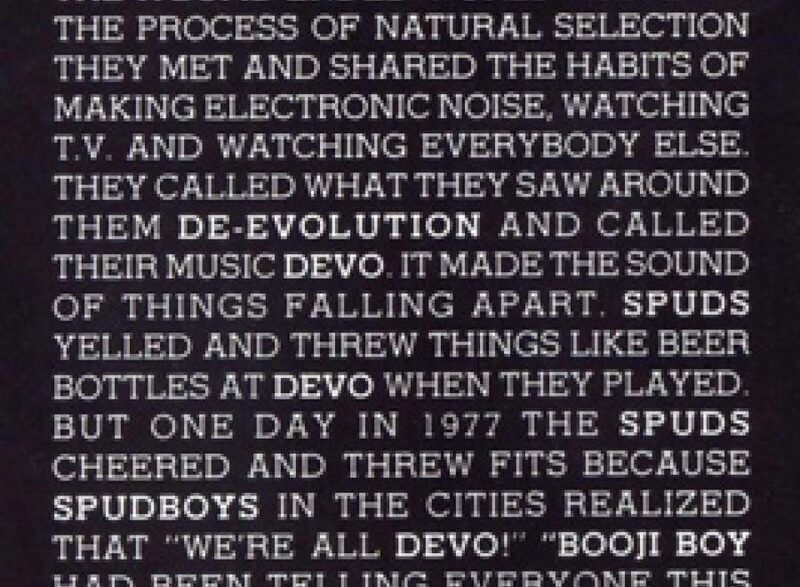 Tru DEVO Bio – distributed in DEVO press kits & in Club DEVO kits in the late 1970’s…and possibly into the early 1980’s. 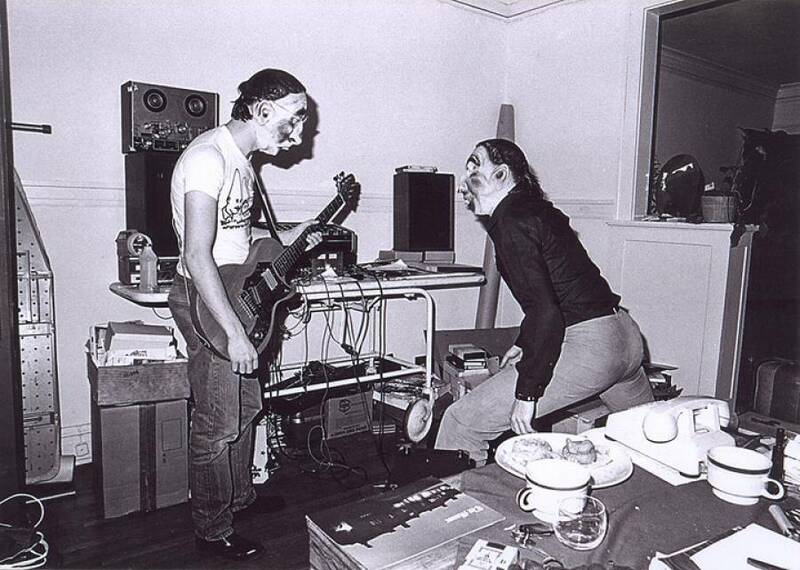 Mark Mothersbaugh & Jerry Casale wearing rubber masks at the Portage Path apartment in Akron, Ohio. Probably circa 1978. Photo by Bobbie Watson. 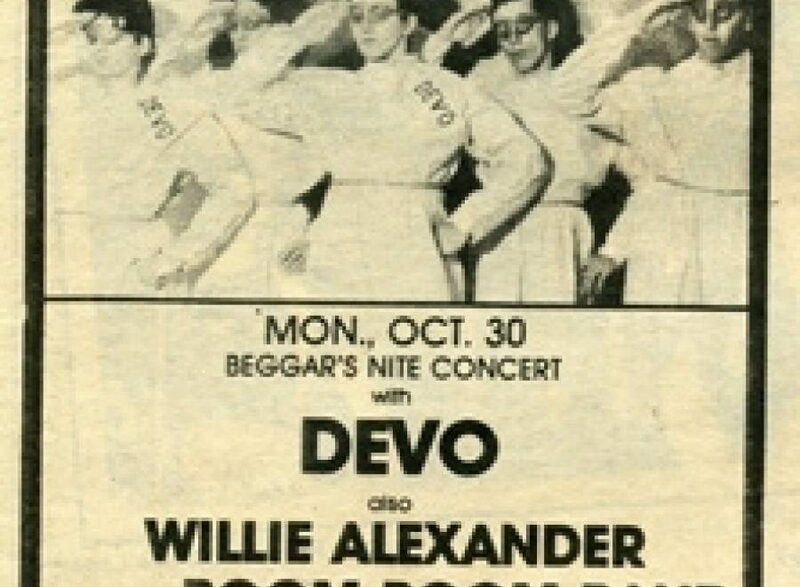 Newspaper advert for early DEVO show at the Agora Ballroom in Cleveland, Ohio – Oct. 30, 1978. Tickets were only $1.01 at the door! 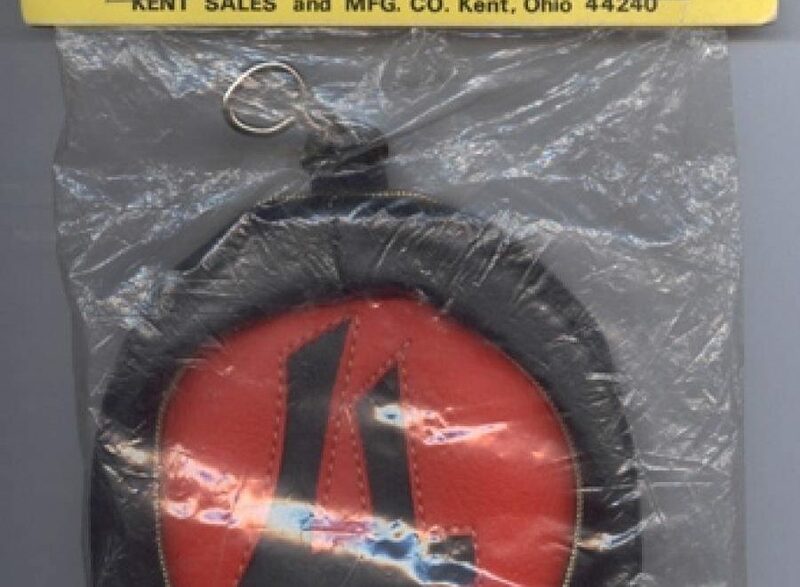 Original Chi-Chi Rodriguez golf accessory packaging, the inspiration for cover art used on DEVO’s debut “Q: Are We Not Men?, A: We Are Devo!” album. DEVO on MTV circa 1982…promoting their “Oh, No! It’s DEVO” album. 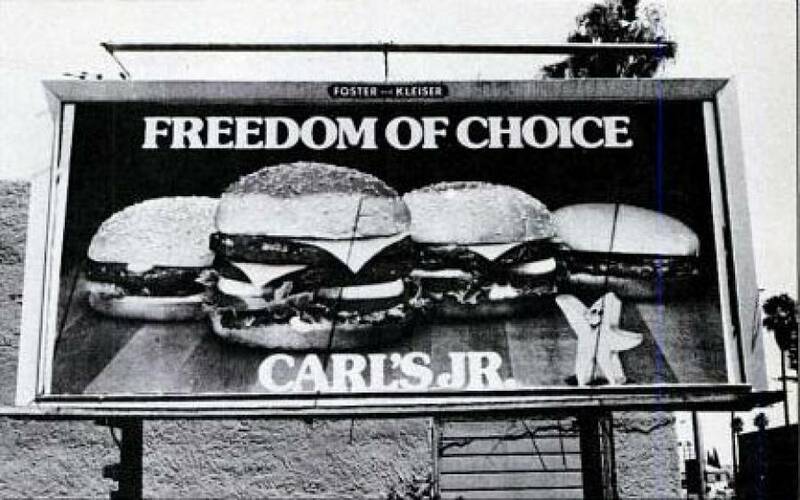 DEVO makes mention of this Carl’s Jr. “Freedom of Choice” billboard in radio interviews they did back in the early 1980’s. 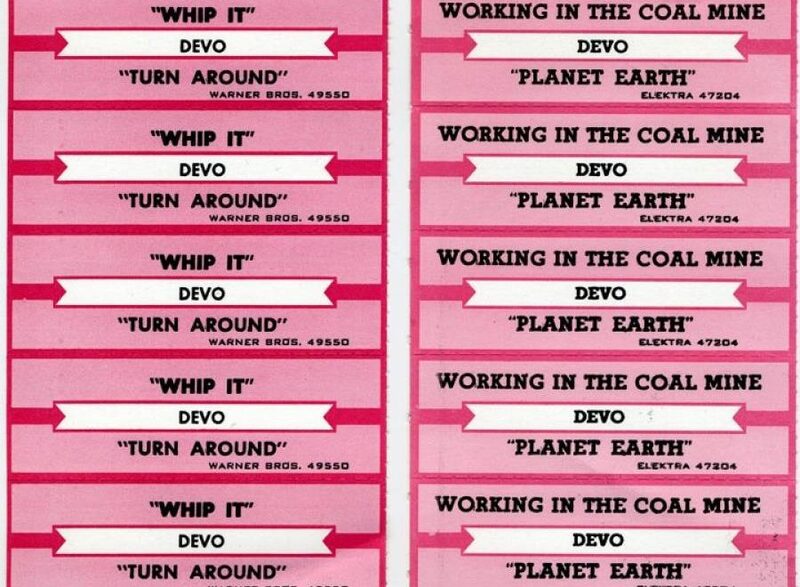 DEVO jukebox labels circa early 1980’s. 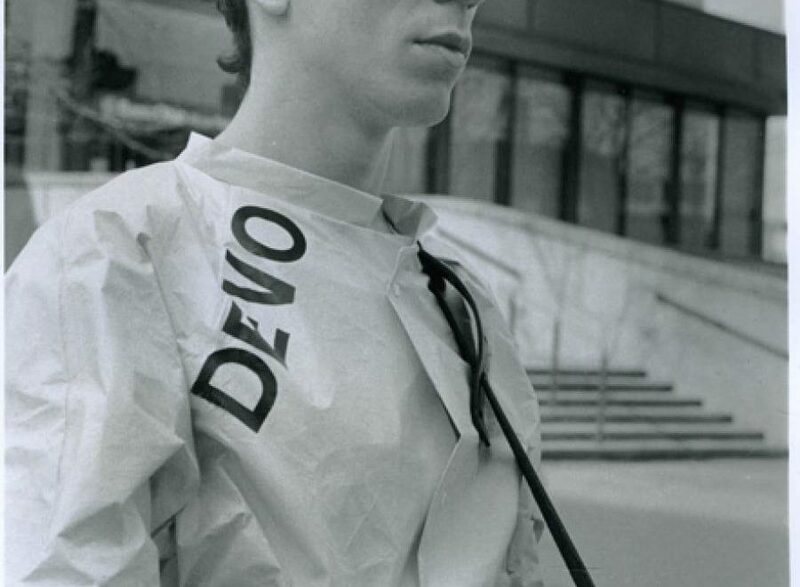 See more devolved artifacts at Devo-Obsesso.com. 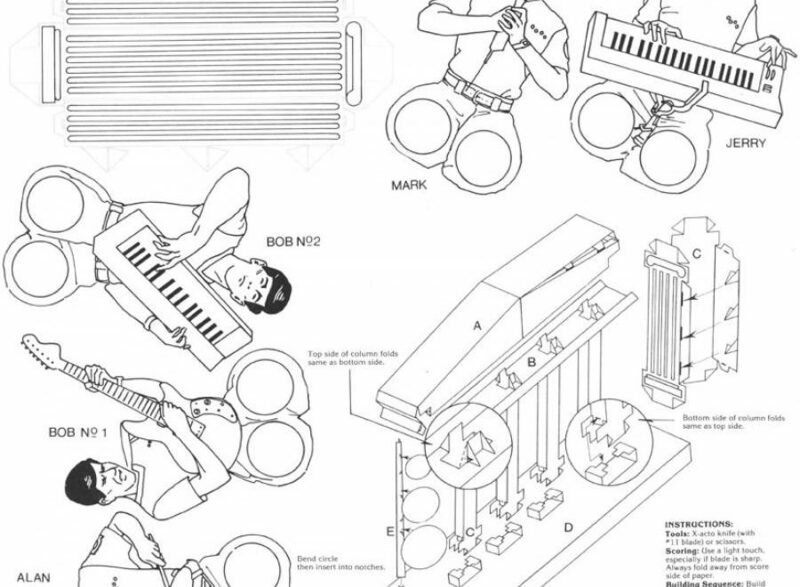 DEVO’s 1981 Tour Book included several pages of cut & fold elements which fit together to build your own Temple Of DEVO, a replica of their “New Traditionalists” stage set – including finger puppet band members. 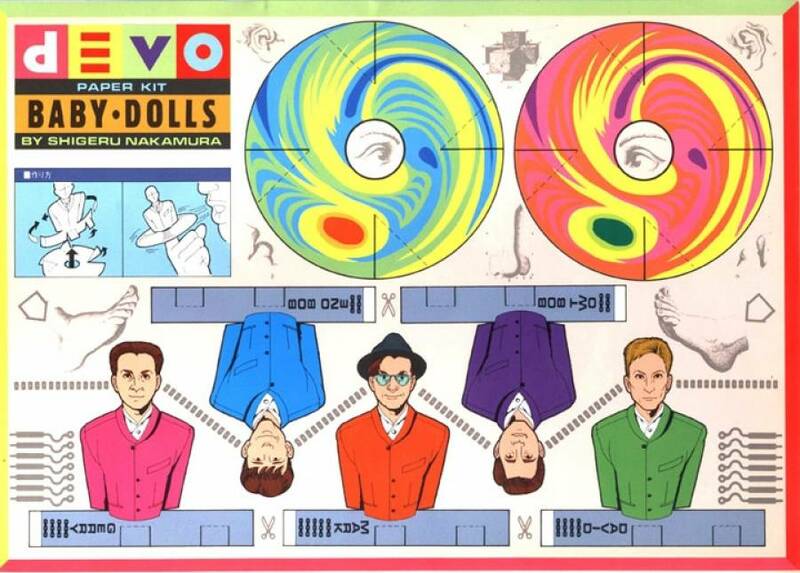 DEVO “Baby Dolls” paper kit finger puppets designed by Shigeru Nakamura promoting DEVO’s “Smooth Noodle Maps” album circa 1990. 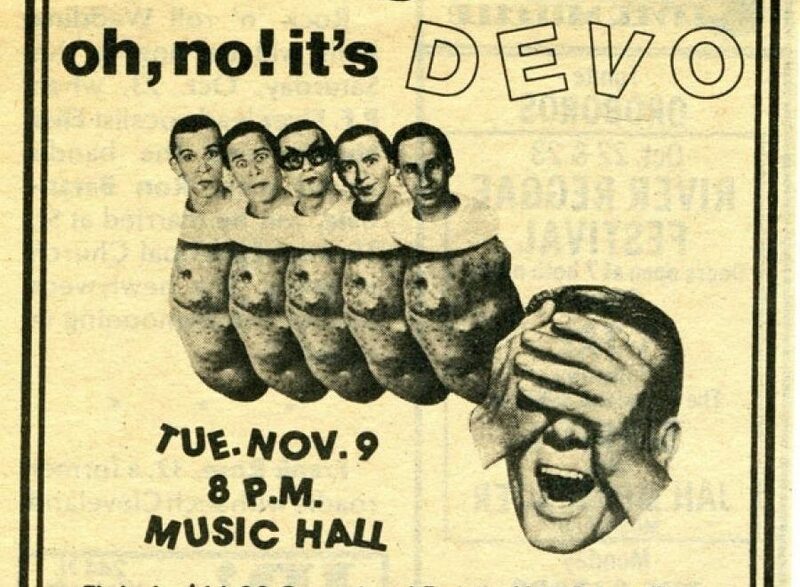 To see more devolved ephemera, please visit Devo-Obsesso.com. 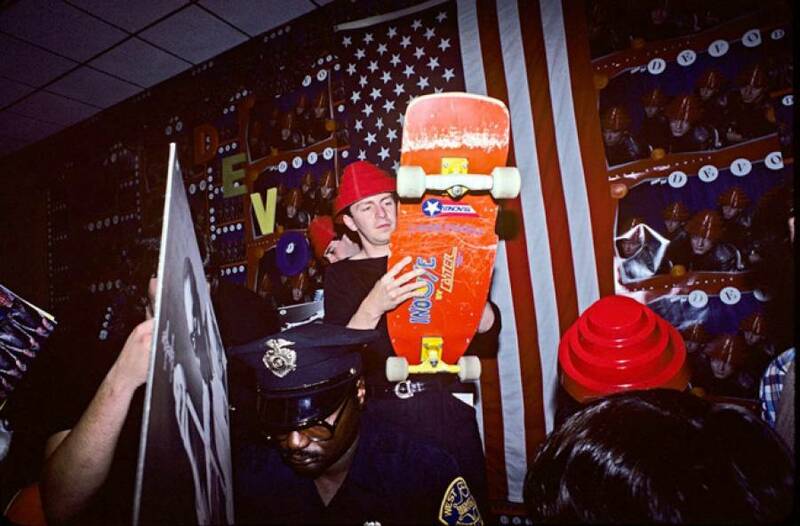 Booji Boy holds DEVO’s first 7″ vinyl single in this early photo. Courtesy of The DEVO Archives.